“Embarking on a day’s excursion, we decided to take a sunset boat trip down the river and out to sea. The crew were amazing, pointing out all the different birds to see along the riverbank and showing us the hundreds of fruit bats circling over the treetops – something I have never witnessed before. Sitting at the front and being able to look into the water to see jellyfish and flying fish jumping out of the river, whilst the crew brought endless supply of cool drinks for the guests, really added to the whole experience. 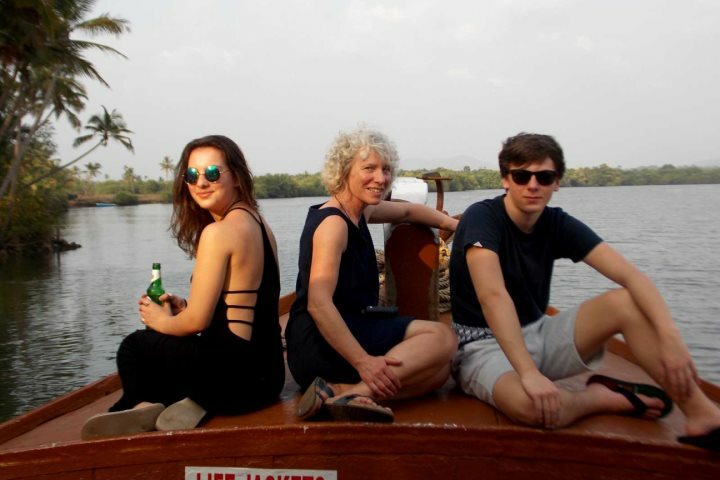 After travelling upriver and looking at the wildlife Goa has to offer, we travelled out to the river mouth to watch the sunset over the sea – it was so picturesque it looked as though it was lifted straight out of a travel catalogue. As soon as the sun had set, the boat lit up with fairy lights, and the fresh fish we had been shown at the beginning of our journey was served. As a vegetarian, I was concerned that I would not be catered for, but was pleasantly surprised when I was served two different vegetarian curries. It was possibly some of the best vegetarian food I’ve eaten! While we ate, we were surrounded by fishing boats returning to the port, making us feel as though we were part of the local culture. Later, some music was played and guests got up to dance. Overall, the boat trip was a unique experience and something I shall never forget, with excellent crew and scenery you will find nowhere else in the world. Whilst staying at the Holiday Inn, we were pleased to witness a wedding party. With music and lights drawing us down to the beach, we went to go and explore the celebrations. Hindu weddings are amazing, with the women all dressed in traditional bright colours and everyone dancing together. African gymnasts were performing to the wedding party with fire-breathing, cartwheels and flips all over a stage, which added to the wedding’s already unique character. 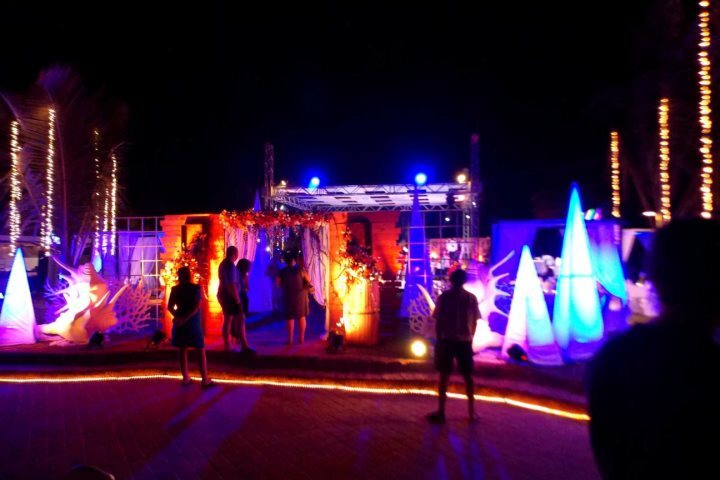 Afterwards, live music was played by local musicians, creating a fabulous mix between English and traditional Goan music, which finished promptly by 10:30pm, allowing all the guests to relax for the rest of the evening. The party lasted three days with different events each day, and it was incredible seeing all of the effort made by the hotel staff to cater for such a large event, as well as putting up all the decorations for the wedding. As an outsider, it was an incredible event to witness. We all really enjoyed the drive up to Wildernest – we saw a group of water buffalo enjoying the shade of a tree as they hung around in the road! 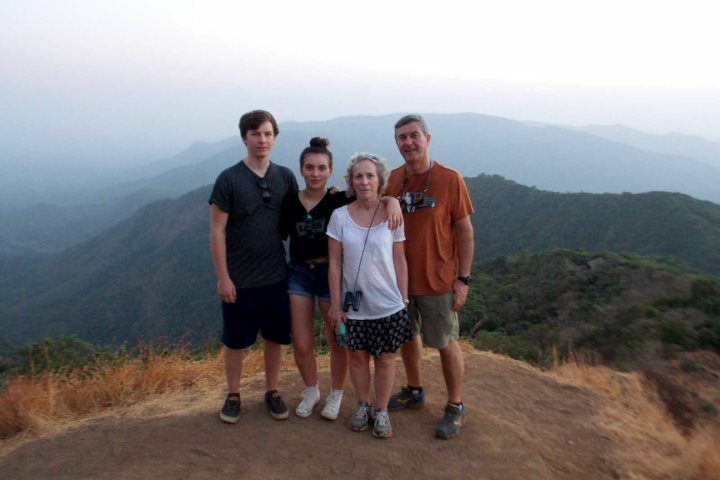 It was quite a long climb on the road up to Wildernest in the Western Ghats, and when we arrived we transferred onto a jeep to be taken to reception, followed by a short walk to our rooms. The room was spacious and had the most amazing view over the valley, enjoyed from our own small rustic balcony. We went down to the dining area, and within 15 minutes of our arrival my daughter had spotted a green snake! We also saw black-faced langur monkeys. 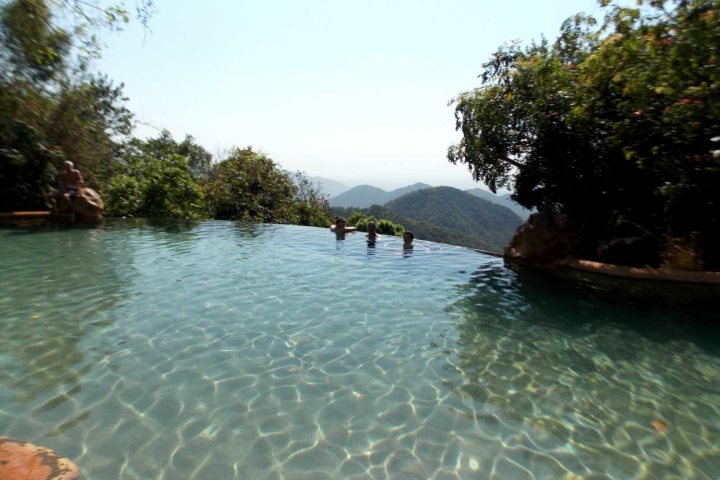 There was also a small pool area which was nestled into the mountain side, which came with some amazing views over the valley. 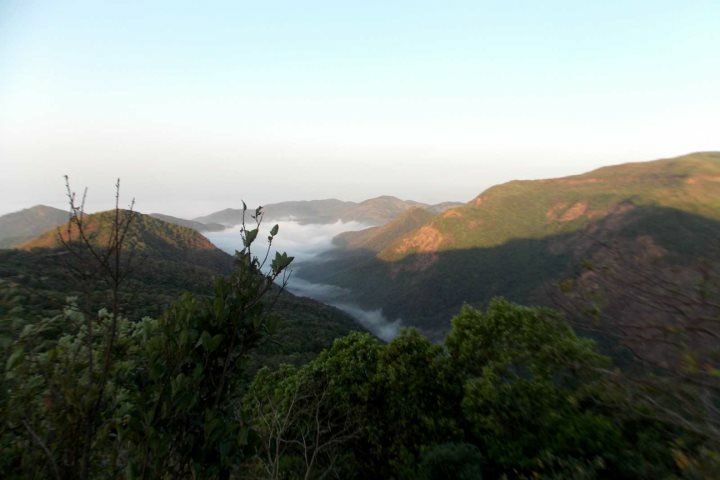 During our first evening at Wildernest, we went on a guided walk up the mountain to see the sunset. We didn’t see any wildlife, but our guide pointed out sloth bear droppings and a leopard print. Early the next morning we went on the birdwatching walk, but unfortunately, it was very windy so no birds were about, however on leaving my room I sat and watched a black-faced langur monkey outside my room for a few minutes, so it was worth getting up early. Later in the morning, we went on a guided walk to the waterfall again and saw monkeys on the way there and on the way back. At this time of year, the waterfall is almost dry, but again the walk was well worth it just for the views. The walk was about 50 minutes in each direction. We all really enjoyed staying at Wildernest – for me, it was the real highlight of our trip and I couldn’t recommend it highly enough." 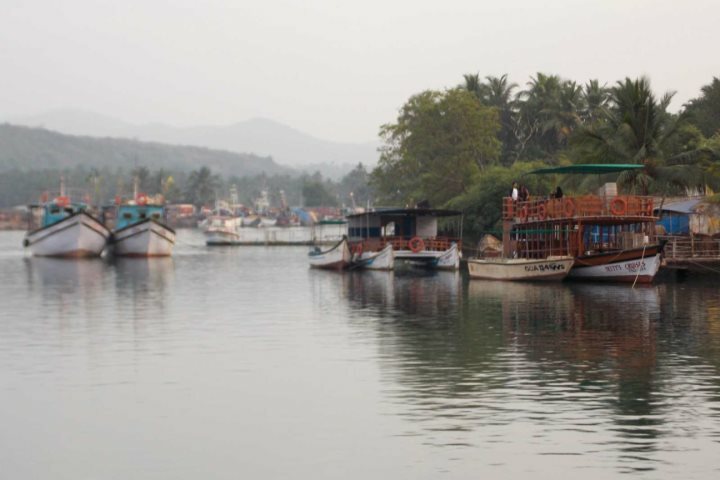 To find out more about the excursions you can enjoy when holidaying in Goa, visit our website.